Any beauty aficionado worth their Sephora Beauty Pass points will be all to familiar with Victoria Beckham's previous collection for Estée Lauder. Remember? The highlighter sold out in about half a second? It was one of the greatest beauty collaborations of the decade in our opinion, which makes this news all the more exciting: The second drop is now officially here. The lowdown for the new collection is that ten of the original hero products will be re-introduced, but it's the eighteen new ones that really have our hearts racing. We've been trialling some of the range at our desks, and we're almost 100 percent certain that this one particular highlighter is sure to reach cult status. So take our advice and get in quick—because every beauty girl is about to buy this. Keep scrolling for the big reveal. We're done with reflective, over-the-top highlighters, and the Victoria Beckham Estée Lauder Aura Gloss is pretty much exactly what we've been searching for. 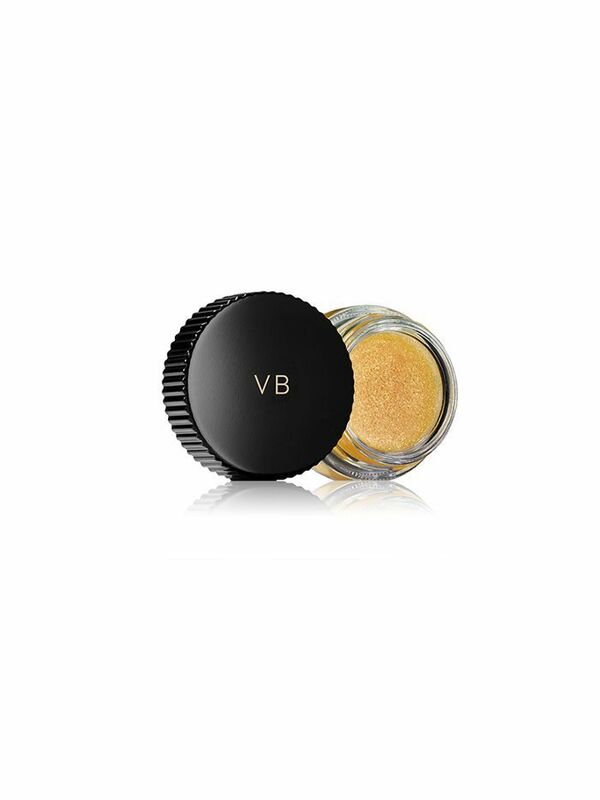 The texture is similar to a lip balm and the colour is a golden shade of honey-yellow. Although when it's applied to the skin, it is a more subtle, glossy sheen (as the name suggests). Pat it lightly onto your cupid's bow, eyelids, cheekbones—anywhere you want a subtle highlight. We've even tried using it on our lips and it works a treat. So basically, it's the all-purpose all-over summer gloss we've been searching for. Oh, and it comes in an incredibly chic black and gold packaging (similar to the original collection). Trust us, you won't want to miss this.